In association with “ Nalapadam”, CNPS observed World Coconut Day on the theme “ Coconut and its multifarious Uses”. Class wise exhibitions and competitions were conducted to promote awareness on the use of coconut in our daily lives. 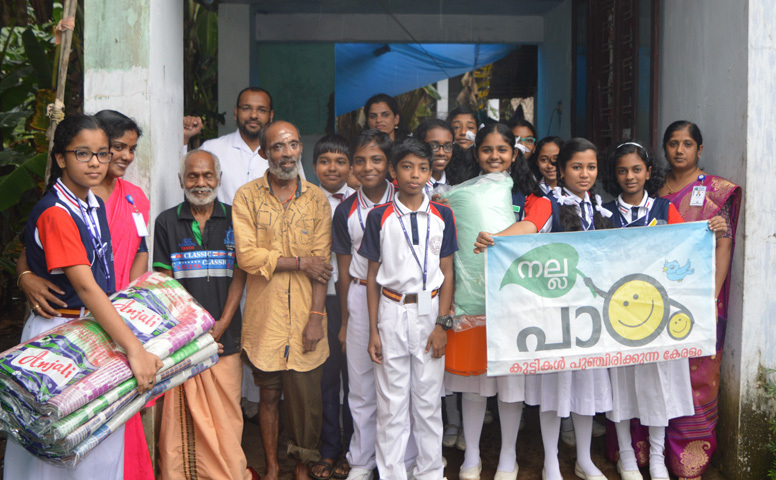 A Helping Hand...As part of the ongoing Charity work of the school conducted in association with “ Nalapadam”, the students of Christ Nagar Public School, Attingal visited Ponnus Old Age Home at Poovanathinmoodu on 26 July 2018. In association with “ Nalapadam” , the students of Christ Nagar Public School, Attingal visited Karunalayam Charitable Trust. Christ Nagar Attingal paid tribute to legendary writer Vaikom Mohammed Basheer on his 24th death anniversary.